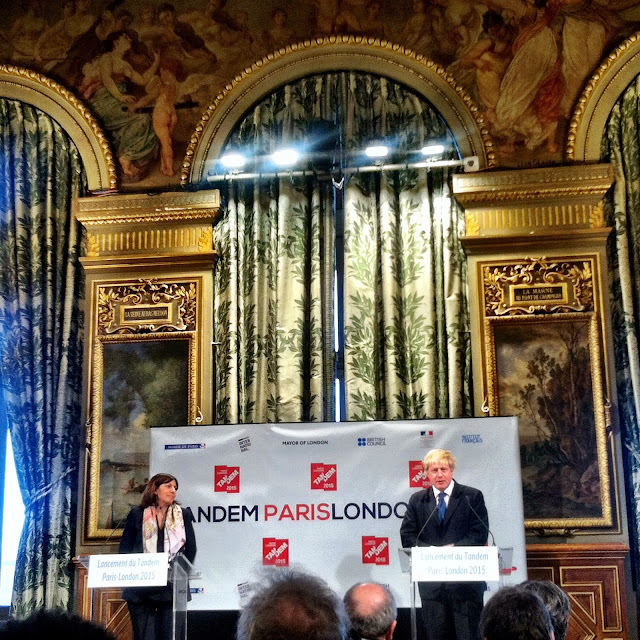 Straight from the Paris London Tandem 2015 Press Conference today, Anne Hidalgo, Mayor of Paris together with Boris Johnson, Mayor of London launched an exciting Paris-London cultural exchange tandem due to take place from March to July this year. 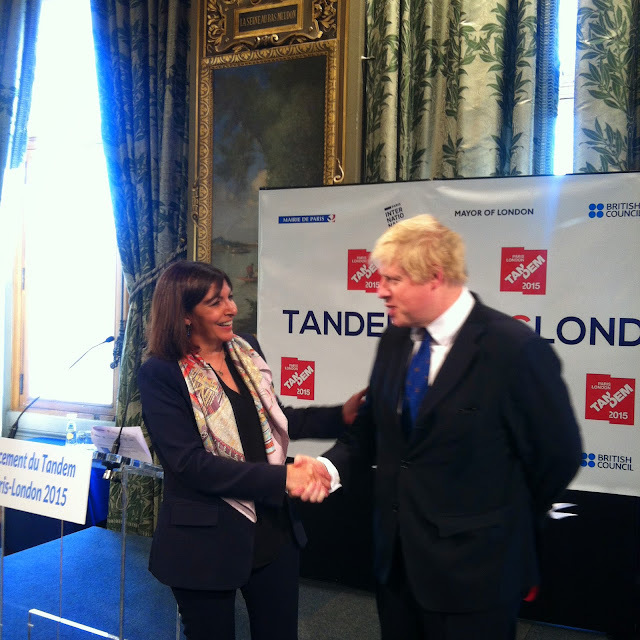 During these four months, Parisians will be able to enjoy a taste of the British cultural scene in Paris. 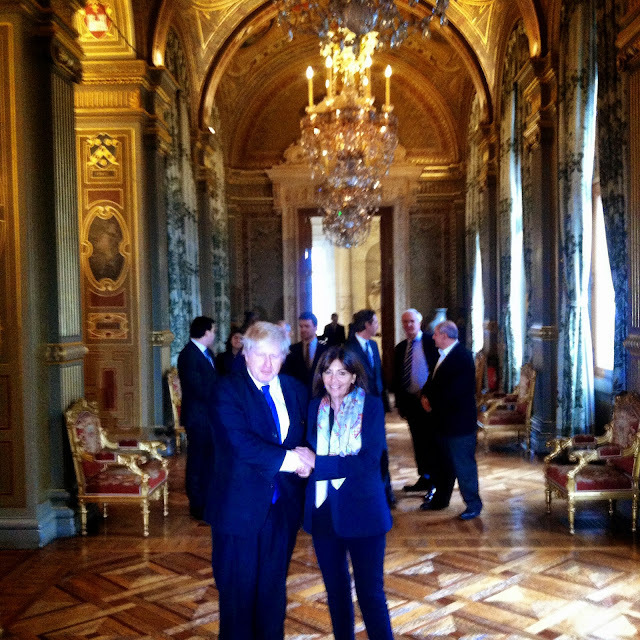 At the same time, on the other side of the Channel, Londoners will be able to enjoy a taste of the French cultural scene in London. 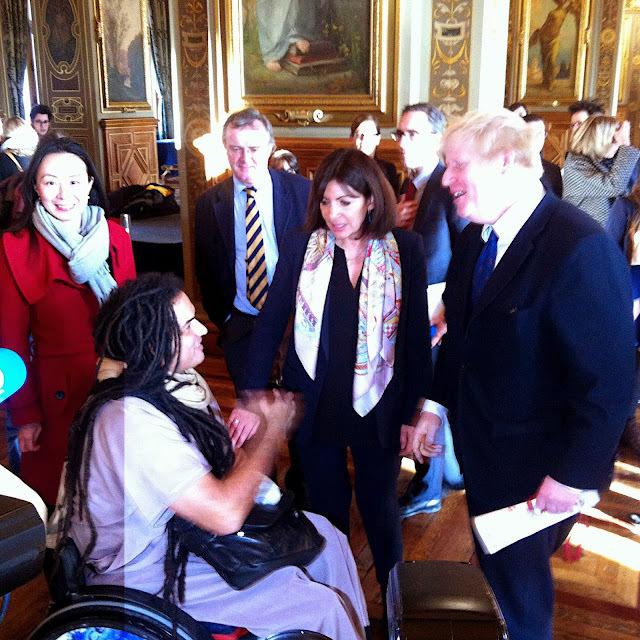 Initiated by the Institut Français and the City of Paris, in partnership with the British Council and with the support of the City of London, over 50 cross-cultural events are scheduled for exchange between the two world capitals. Music, theatre, literature, the visual arts and cinema as well as a special platform for emerging artists and young people are among the events planned.